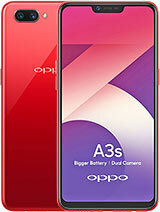 Post your reviews & opinions for Oppo mobile set A3s 3GB . Be first to give honest reviews and win free mobile every month via Lucky Draw! You must have given honest reviews on at least 10 different mobiles in a month to get free mobile via Lucky Draw. Comments are approved manually. If you don't follow the above rules, your post will be never approved and your IP will get banned.